Photo: Getty Images. Count Victor Lustig centre. In 1934, Lustig was arrested by federal agents for counterfeiting. The day before the trial he was able to escape out of a window by disguising himself as a window washer. “Count” Victor Lustig is best known as a versatile conman who sold the Eiffel Tower twice for scrap metal. Born in Bohemia, he lived the life of an aristocratic gentleman. Utterly charming and fluent in several languages, he managed some amazing stunts. Lustig was wanted by as many as 42 law enforcement agencies in Europe and the United States. Through his many fraudulent deals, he became wealthy. They included unlikely scams such as a money-making machine, which was said to reproduce any currency. His sale of the Eiffel Tower was particularly ingenious as his victim was too embarrassed to admit his gullibility and let Lustig depart with the money. On February 4, 1912, Austrian-born French tailor Franz Reichelt climbed to the top of the Eiffel Tower in a wingsuit of his own design. Honestly, you can probably guess where this is going. Down. Fast. Designed in 1912 by German inventor Franz Reichelt, the parachute jacket had a high-profile unveiling when Reichelt wore one for a jump from the Eiffel Tower. It didn’t deploy. Reichelt died. Reichelt, an Austrian born French Tailor, had been fascinated by flight for many years. After seeing the practicality of the “Aeroplane” he became obsessed with inventing a parachute which would enable them to bail out safely. Reichelt had already performed several tests on dummies from his fifth floor apartment with little success; in 1911 the Aero Club de France offered 10,000 francs to whoever could demonstrate a successful parachute design, which spurred Reichelt on. The suit itself resembled “a sort of cloak fitted with a vast hood of silk.” Its total surface area was roughly 30-32 metres sq. (320-340 ft sq) and weighed a total of 9kgs. 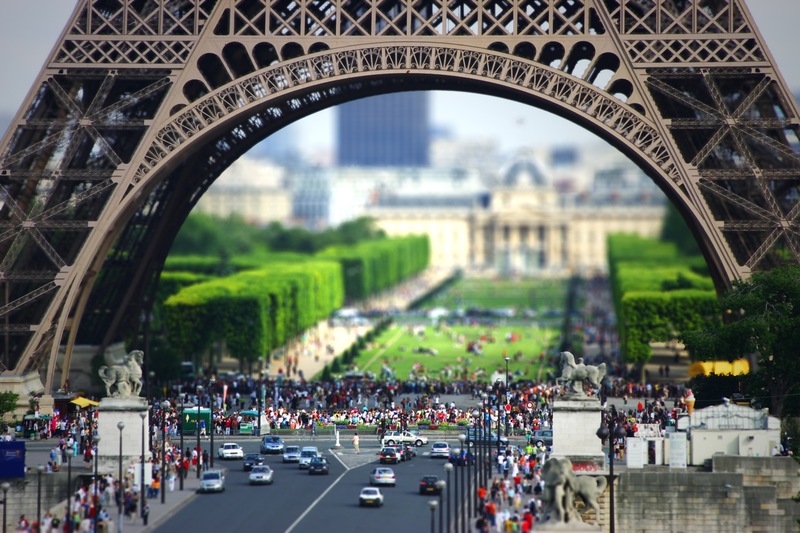 Opened in 1889, the Eiffel Tower is an iconic building, recognized throughout the world. However, unbeknownst to many, it contains a secret apartment within its highest level. Owned by Gustav Eiffel, the engineer who designed the tower, this apartment was fully decorated and frequently used for social gatherings with individuals, including Thomas Edison. The two mannequins are Thomas Eddison and Gustav Eiffel. Earlier today we posted the facts about the Eiffel Tower. Built in 1889 by French engineers, using French steel and rivets, nothing was supplied by Germany and it cost around $1.5 million dollars back then. The Eiffel Tower (French: La Tour Eiffel, [tuʁ ɛfɛl]) is an iron lattice tower located on the Champ de Mars in Paris. It was named after the engineer Gustave Eiffel, whose company designed and built the tower. Erected in 1889 as the entrance arch to the 1889 World’s Fair, it has become both a global cultural icon of France and one of the most recognizable structures in the world. The tower is the tallest structure in Paris and the most-visited paid monument in the world; 6.98 million people ascended it in 2011. The tower received its 250 millionth visitor in 2010. Before we go any further we also need some facts about the Statue of Liberty. The statue was designed by Fredéric Auguste Bartholdi of Alsace as a gift to the United States from the people of France to memorialize the alliance of the two countries in the American Revolution and their abiding friendship. The French people contributed the $250,000 cost. The 150-foot pedestal was designed by Richard M. Hunt and built by Gen. Charles P. Stone, both Americans. It contains steel underpinnings designed by Alexander Eiffel of France to support the statue. The $270,000 cost was borne by popular subscription in this country. President Grover Cleveland accepted the statue for the United States on Oct. 28, 1886. I realise you probably already know the obvious facts about the Eiffel Tower, like it is a tower, it is in Paris, and you are now wondering why you are at Whaleoil reading about what you already know. Trust me. Just bone up on some of these less obvious facts below, and then come back after 10 am. It will all make sense then. It took several hours to contain as the rioters forgot they were surrender monkeys and didn’t surrender. Celebrations to mark Paris Saint-Germain’s first French football league title in 19 years have been marred by clashes between fans and riot police. At least 30 people were injured, including policemen, and 21 arrests were made after the unrest on Place du Trocadero, near the Eiffel Tower. via Imgur. Click on photo for larger version. The £22.7 million tower, which is twice the height of Nelson’s Column, has been likened to an “overgrown maypole”, a “turd on the plaza” and “a contorted mass of entrails”. Even Boris Johnson, the Mayor of London and the man who commissioned the work, refers to it as “the hubble bubble”. Unveiling the tower to the world’s press, Kapoor said: “You know, the Eiffel Tower was hated by everybody for a good many years – 50 years or something like that – and now it’s a mainstay of how we understand Paris. The tower stands 115 metres (377 ft) high and has two observation floors. Visitors – initially restricted to those with tickets for the London 2012 Games – ascend in a lift and descend via the spiral staircase that snakes around the structure.